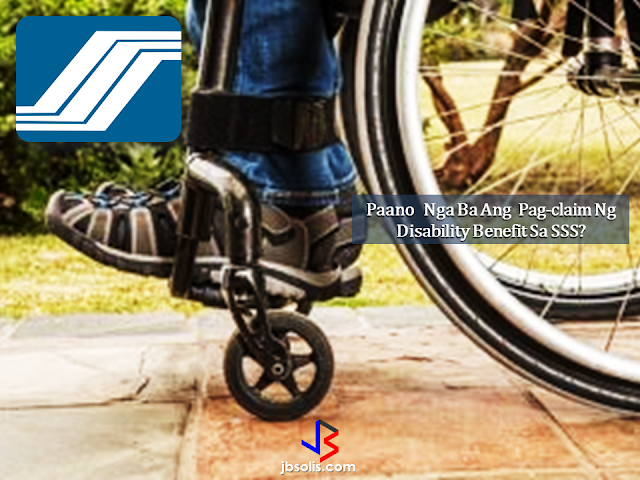 The way you sing the national anthem may not be a big deal to you in the past but this time you need to do it right or you might end up paying a fine up to P100,000. House Bill 5224 (HB 5224) or the "Flag and Heraldic Code of the Philippines." has been approved by The House of Representatives on third and final reading updating the rules on the rendition of the Philippine National Anthem. The House of Representatives said HB 5224 "updates, among others, the rules on the rendition of the national anthem, expressly repealing Republic Act No. 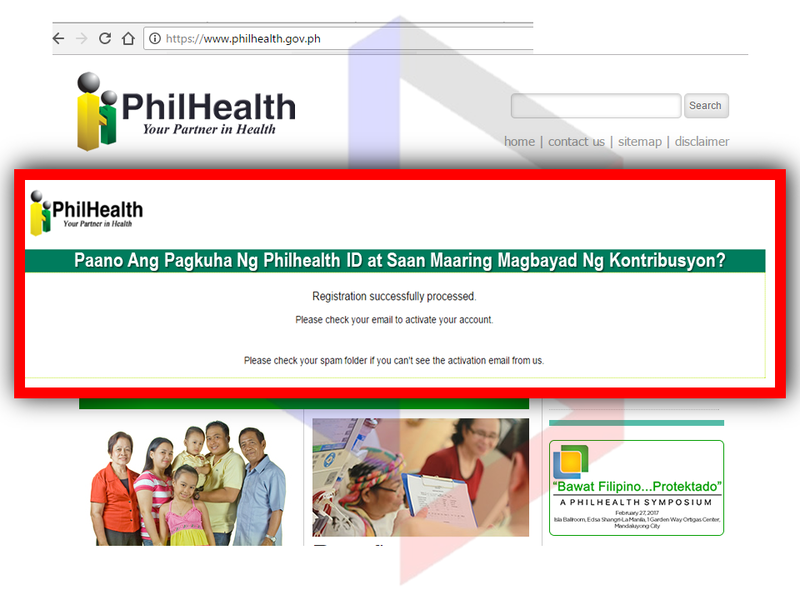 8491 or the "Flag and Heraldic Code of the Philippines." 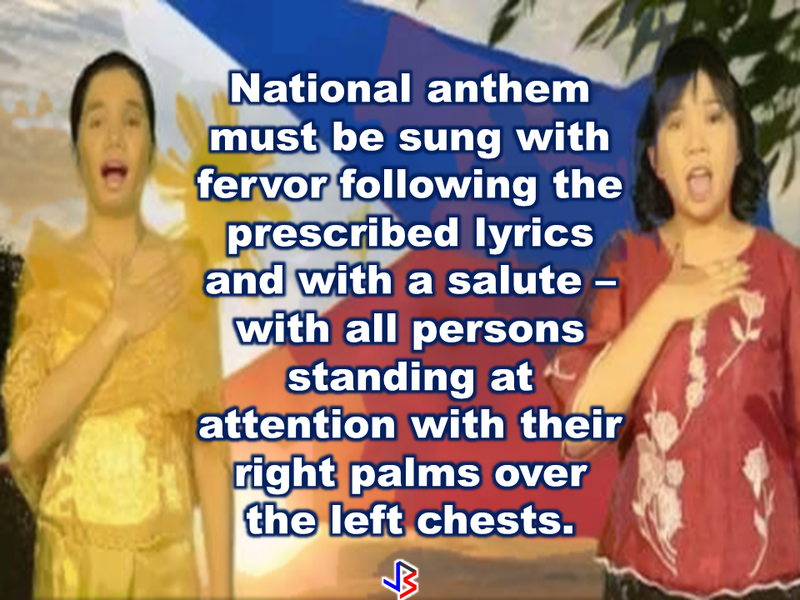 HB 5224 urges all individuals to be committed in memorizing the national anthem by heart. According to the Bill, the rendition of the national anthem shall be in accordance to the composition of Julian Felipe. 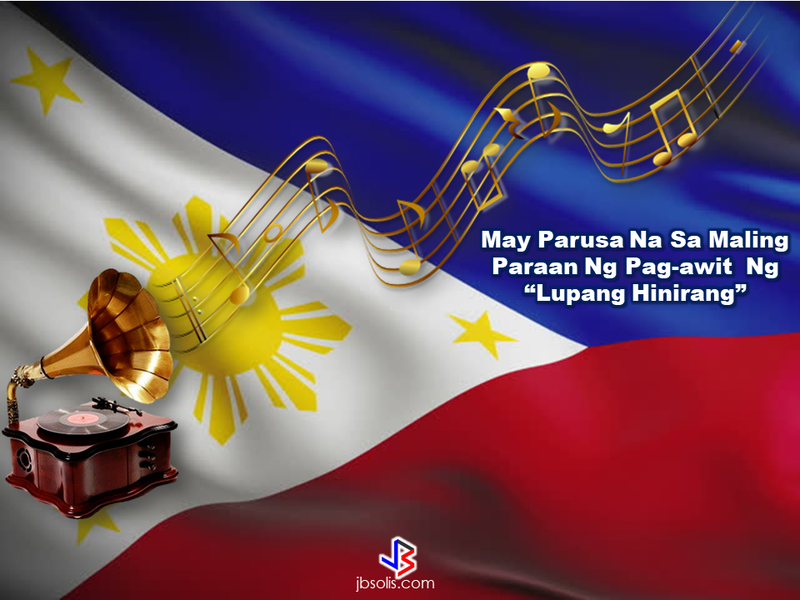 The National Historical Commission of the Philippines (NHCP), in coordination with proper agencies, "shall disseminate an official music score sheet that reflects the manner in which the national anthem shall be played or sung", thus, making the rendition standard. The anthem must be sung in Filipino. 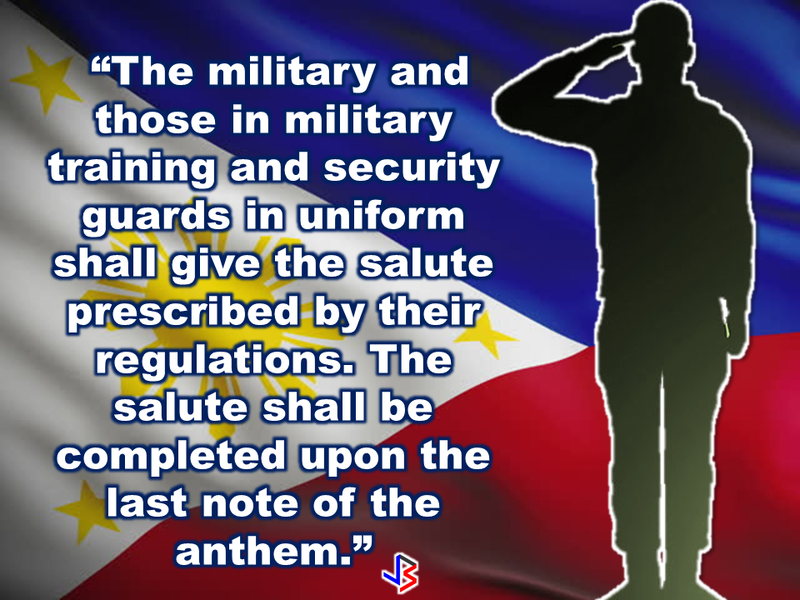 However, rendition of the anthem in other languages and dialects must be approved by NHCP. 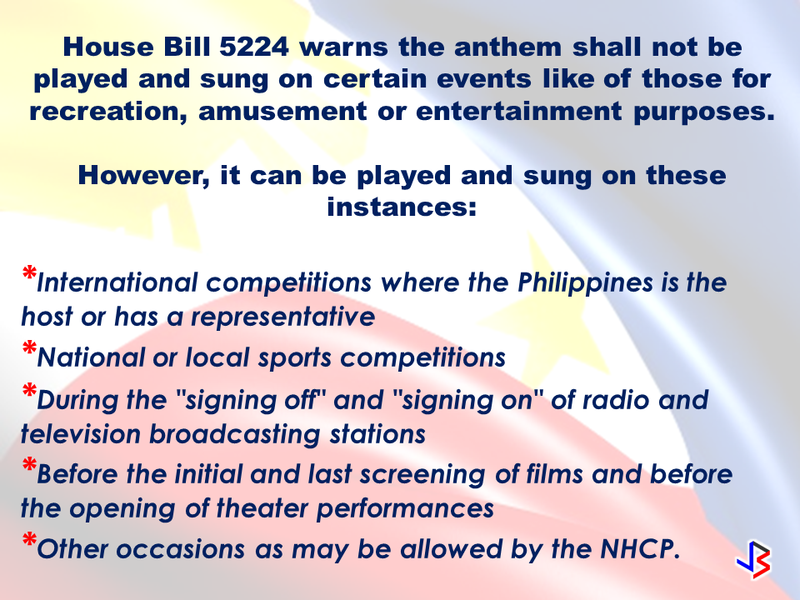 House Bill 5224 warns the anthem shall not be played and sung on certain events like of those for recreation, amusement or entertainment purposes. Other occasions as may be allowed by the NHCP. 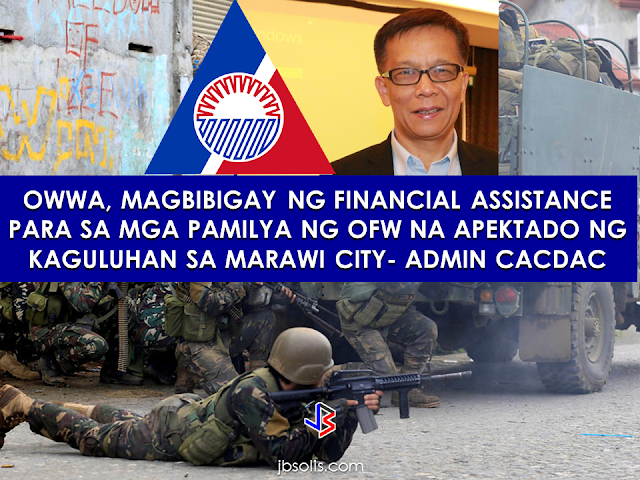 HB 5224 will impose penalties should the provisions not be followed, among them a fine of not less than P50,000 but not exceeding P100,000.